You have an exciting food concept you’re preparing to launch into the market and, after months of effort, you still have no idea what to call it. How can creating a new food brand name be so difficult? Chances are, your creative energy is misplaced. Take a step back and remember these six pearls of wisdom. You’re not creating a name. You’re starting a brand. Brands don’t appear in a “Eureka!” moment on a white board. They start out small and are built over time according to how well you communicate a promise and, then, deliver on it. But the name still matters. Right? Imagine this. You want to introduce a new high-quality deli meat and someone on your team suggests the name Boar’s Head. Before you even have a chance to react, out comes the hairy-hog logo to convince you. And, yet, Boar’s Head is a firmly entrenched quality leader in the deli-meat category today. No one gives the name a second thought—because we all know what it stands for. This is where your creative energy should be directed. Not into some genius name, but into your product’s brand message. An M&M is “milk chocolate that melts in your mouth, not in your hands” because, unlike any other product at the time of its introduction, the M&M—and its marketing—featured a colorful candied shell. When you have that answered, again, the name almost doesn’t matter. If it does—like, say, Kellogg’s Fruit Loops—that’s great. But don’t get hung up on it. Your brand name—the word you can actually own as a trademark—is an adjective. Adjectives mean nothing without a noun next to them. In your official brand name, that noun takes care of the product description. Nesquik® brand chocolate milk powder. When you clarify the product, creating the name in front of it gets easier—an exercise that’s also necessary when you first introduce your product to the market. Down the road, when your brand is well established, this technical part of the anatomy can fade out of sight—although, it never actually goes away. We all know it as Starbucks. And the company markets itself that way. But it began—when it was a small startup brand just like yours—and still is Starbucks® Coffee Company. Get outside your immediate scope. Do you have other food brands that already exist? How will this new one relate to those, so as to ensure they don’t compete with or potentially weaken each other? Do you envision launching other products in the future? Might they be completely different from this current one? Are they even food related? This examination is about brand structure, and it’s far more important than how creative your new food brand name might be. You’re likely not anywhere near the size of Kraft, Procter & Gamble, or Unilever, but the principles they deploy in product branding still apply. And, of course, don’t forget to conduct the proper trademark research, enlisting your attorney at the right time. It happens all too often. The perfect food brand name presents itself and the high-fives commence—followed by the cold water of a cease-and-desist letter. The point of this entire message is not to completely dismiss the merits of creativity. Naked® juice is a good brand name. It has just the perfect little amount of provocation to get your attention. Even if not as direct as Fruit Loops in its description of the product, Naked skillfully implies what you’re about to drink. That implication strikes at the essence of what the brand is selling (see #2)—juice that is absolutely free of anything artificial. That selling proposition is market driven. It speaks to Naked’s audience, which is the growing tribe of consumers who want foods with cleaner labels. But the marketing around the name does the heavy lifting on most of this. 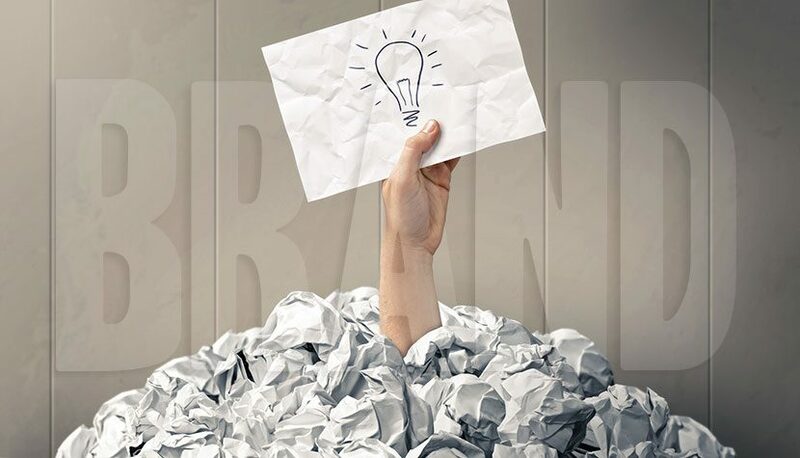 The name itself is a contributor—a good one, creatively—but it’s not so critical to building the brand that you should get caught in a brainstorm at this stage. What Naked really brings to the table relates primarily to the first bullet. It’s what we call sticky. Attention-grabbing. Memorable. If you can achieve that, it’s a strength. But, again, ultimately a brand is determined by how well you can deliver on a promise. Incidentally, to that point, Naked is flirting with disaster here. If parent company Pepsico isn’t meeting the market standard on “natural,” the name Naked—for all its creative merits—can’t save the day. There’s an important nuance in the mantra throughout this blog. The name almost doesn’t matter. Years ago, in NewPoint’s hometown area, a butcher opened his own shop. His last name was Grey. So, the name was a no-brainer. But, as it turned out, not many people had an appetite for gray meat, and the shop went out of business. Yes, you can take a name that doesn’t immediately resonate with people as a stroke of brilliance and build it into a strong brand. If a name feels right to you and you’ve applied these principles, you can be confident. Just know that pitfalls do exist. So, don’t forget about the principle of common sense. Still Have Questions About Creating a New Food Brand Name? That’s fair. Your emerging brand is an extremely important molehill. Start learning about the building blocks in Patrick Nycz’s book, Moving Your Brand Up the Food Chain, then give NewPoint a call.